12 January 2019 – Life Is Such A Sweet Insanity. When we first moved to Chicago, we were repeatedly warned about the winters here. They’re cold. There’s snow. They’re long. Score one for Global Warming. We are in the midst of our second winter in the Windy City and it’s not nearly as bad as what we experienced back in the Lake Ontario Snowbelt of Upstate New York. And honestly, I’m grateful. It’s snowing today. It’s probably the first “substantial” snowfall we’ve had this season, but it’s really not a big deal. One of the things that I love about Chicago is that things haven’t really slowed down during the few snowfalls we’ve had. 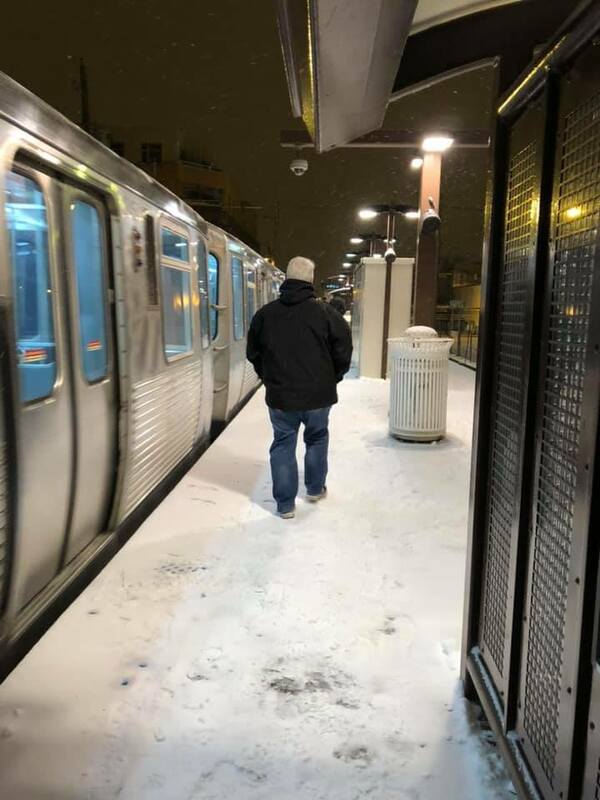 The CTA is still moving, traffic is still moving on the streets, folks are shoveling sidewalks, and no one is raiding Jewels (grocery store) for bread and milk. I’m finding that folks are sensible about snow here, and that’s a great thing. Earl and I used the weather as an excuse not to eat at home tonight. We met up with Jamie and Chris and ate at a place called Wabi Sabi.